This is a spacious 3 bedroom home on two levels. Beautiful views over Hanmer from Kitchen/dining room. Walking distance to Town, Hot Pools, Restaurants, Mini Golf and up Conical Hill. 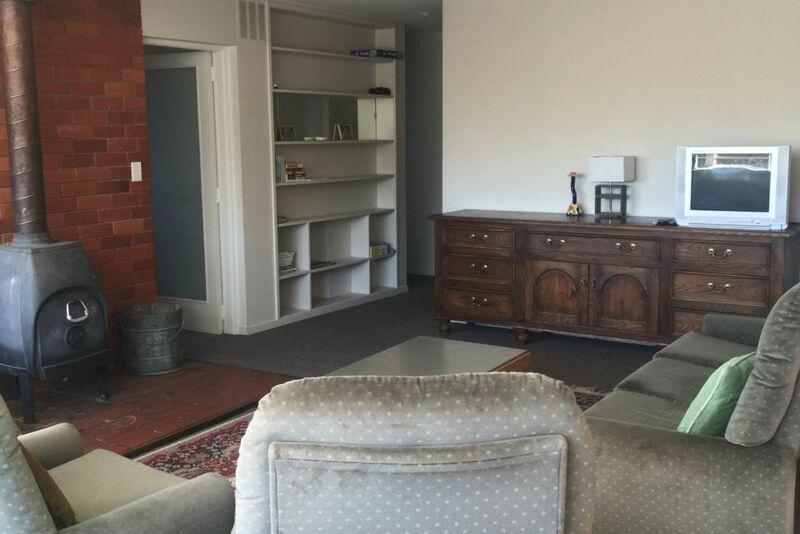 The key for this property is held in Christchurch, other arrangements can be made, but please advise Owner at time of booking if you are not coming via Christchurch. There is a studio unit below house for extra accommodation. NOTE: The Owner will start to take bookings for the Christmas Period from 1 October 2018. Preference will be given to bookings of 5 nights or more. NOTE: Under Kiwi bach tradition you are expected to: Clean the house and do the dishes before you leave; Bring your own linen (towels/sheets/tea towels); Please remove all rubbish, as often guest will be coming in after you. Great location however the thing that bothered us the most was the state of cleanliness. Had to sanitise all the services and clean up the many dead flies all around the window sills as soon as we walked in the door. Came across 2 white tail spiders as well and inch thick dust behind the bed heads. Highly recommend a commercial clean!! it was in hanmer spring. it was in hanmer spring. They shower door need to be looked at as I got struck in the shower as the doors would not open up. Husband had to fix them.. The rest of the house was fine. Comfortable and very easy to get to/find. The property is in need of an extensive ‘spring clean’ & replacement of broken brush & shovel, worn floor mop & cleaning products were next to nothing.